Tech Data Cloud works only with industry-leading cloud providers to develop its portfolio of integrated and packaged solutions. These best-in-class providers are selected based on how well they align with the high-demand workloads that today's businesses need. These providers also meet specific requirements designed to protect your interests and deliver the greatest value. Businesses can take advantage of Amazon's expertise and economies of scale to access resources when their business needs them, delivering results faster and at a lower cost. 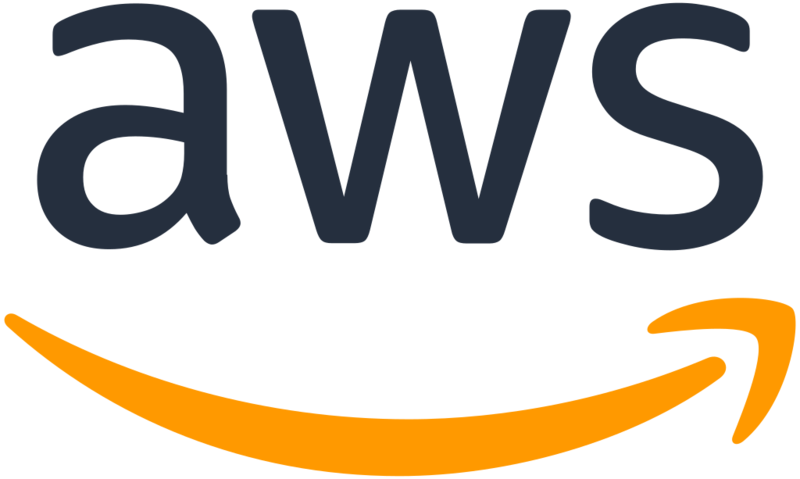 Today, Amazon Web Services provides a highly reliable, scalable, low-cost infrastructure platform in the cloud that powers hundreds of thousands of enterprise, government and startup customers businesses in 190 countries around the world. Easily manage, restructure, report, and protect your Office 365 SharePoint Online and OneDrive for Business, and Groups tenant with AvePoint Online Services. Simplify administration of users, permissions, site elements, and content while providing automated backups and granular, item-level restore for SharePoint Online, Exchange Online, Project Online, OneDrive for Business, Groups, Teams, and Public Folders. As organizations are increasingly moving to a hybrid network infrastructure, moving workloads to Azure and transitioning to Office 365, it has driven more data into places where traditional IT security measures cannot reach, introducing new and often complex challenges for network administrators. The Barracuda Cloud leverages on-demand cloud computing to simplify data security, storage and IT management. BitTitan empowers IT professionals to assess, migrate and automate technology solutions, including email, docs and workloads in a cloud first world. With MigrationWiz, you can plan, execute and manage your workload migrations, whether on-premises or in the cloud. MSPComplete enables you to automate processes while minimizing resources and increasing your productivity. Built for small-to-medium size businesses, Carbonite backup products provide customizable solutions, ensuring your clients' critical data is protected with the power of a hybrid solution. CenturyLink is the third largest telecommunications company in the United States and is recognized as a leader in the network services market by technology industry analyst firms. With deep IT infrastructure experience and an advanced network at the foundation, CenturyLink services are enhanced by flexible automation and customization choices, enabling enterprises to focus on business results and advancements for their customers. Create new revenue opportunities by combining with Check Point's Secure Management Portal, a cloud-based central management and service provisioning platform that answers your needs as a Managed Security Provider targeting SMBs and vertical markets. Simplifying the process of deployment and integrating powerful management and reporting features improves customer security satisfaction, and transforms your company into the trusted security advisor. Cisco pioneered unified communications to carry voice and video over data networks, reducing costs and simplifying operations. With Webex, they are delivering a global conferencing cloud that synchronizes voice, video, and data. Web conferencing for everyone became a reality. Connectria Hosting provides award-winning cloud computing, managed hosting and custom managed hosting solutions for more than 1,000 customers in over 30 countries worldwide. An IBM Business Partner since 1998, Connectria has developed strong expertise in hosting and managing IBM technologies, most notably IBM i and AIX environments on Power Systems and PureFlex. Made for companies that sell, service, and support technology, ConnectWise is the #1 business management platform worldwide. The platform fully integrates business-process automation, help desk, sales, marketing, projects, and business analytics to dramatically streamline your operations, all while empowering you to reach your goals faster. CoreSite Realty Corporation (NYSE:COR) delivers secure, reliable, high-performance data center and interconnection solutions to a growing customer ecosystem across eight key North American markets. Enterprises, network operators, cloud providers, and supporting service providers choose CoreSite to connect, protect and optimize their performance-sensitive data, applications and computing workloads. Faction is an enterprise-class Infrastructure-as-a-Service (IaaS) cloud service provider to channel partners. White-labeling Faction's cloud services as their own, resellers and agents rapidly enter the cloud marketplace under their own brand without capital expenditure, enjoying a faster route to profitability. IBM Cloud is built to give you the highest performing cloud infrastructure available. One platform that takes data centers around the world that are full of the widest range of cloud computing options, and then integrates and automates everything, all through a private network and advanced management system. A growing collection of integrated cloud services that developers and IT professionals use to build, deploy, and manage applications through our global network of datacenters. With Azure, you get the freedom to build and deploy wherever you want, using the tools, applications, and frameworks of your choice. Azure offers hybrid consistency everywhere: in application development, management and security, identity management, and across the data platform. Leverage Microsoft's Cloud Service Provider (CSP) program to deliver best in class productivity solutions to your partner. Don't settle for high deployment, management, and efficiency costs. Choose Microsoft for a familiar, sleek experience, more effective collaboration, and the flexibility to grow. MyCloudIT drives business innovation with an end-to-end desktop and app management platform, enabling Partners to transform their RDS hosting business from old, expensive hardware to Microsoft Azure with no Azure or cloud engineering knowledge required. Oracle Cloud offers best-in-class services across software as a service (SaaS), platform as a service (PaaS), and infrastructure as a service (IaaS), and even lets you put Oracle Cloud in your own data center. Oracle Cloud helps organizations drive innovation and business transformation by increasing business agility, lowering costs, and reducing IT complexity. An early innovator of cloud communications, RingCentral saw a new way to revolutionize business PBX using the power of the cloud. RingCentral adds mobile integration, business SMS and online meetings with screen sharing which allows businesses to compete in the new world of work. ServicePoint365 is an Office 365 SharePoint App that automatically configures SharePoint Online with an intuitive user interface and information architecture that organizes and connects content while eliminating the need for deep SharePoint skills. Protecting your customer's data has never been more important than now. Enterprises are moving their email to the cloud to cut costs and improve agility, but they're worried about losing control and visibility of their confidential data in the process. Symantec enables enterprises to accelerate cloud adoption by providing greater control and visibility over cloud email. For managed services provider (MSP) looking to increase your value to customers and grow their business through security services, Trend Micro should be part of your consideration set. Their integration with Tech Data's StreamOne platform helps to automate security management and offer pay-as-you-go billing, so you can focus on key priorities. Unitrends increases uptime, productivity, and confidence in a world in which IT professionals must do more with less. Their all-in-one backup appliances simplify data protection, application spin-up, and SLA policy automation. Seamless integration with the cloud delivers long-term retention and fast disaster recovery. When selecting an endpoint security partner to augment your product portfolio, it's important to choose one who understands unique MSP challenges, addresses key pain points, and provides a quality product that reduces costs. Webroot believes that next-generation endpoint protection isn't just about providing superior security against modern malware. It's also a key differentiator that brings competitive advantage to your service offerings and enables successful value-based selling. ZEROSPAM is a managed email security service that protects users from all undesirable content such as spam, viruses, executable files and other email-borne threats. One complete highly efficient protection umbrella for all email-borne threats including ransomware and spear phishing. Very easy to manage solution with a high catch-rate and a low FP rate backed by quick and competent support.